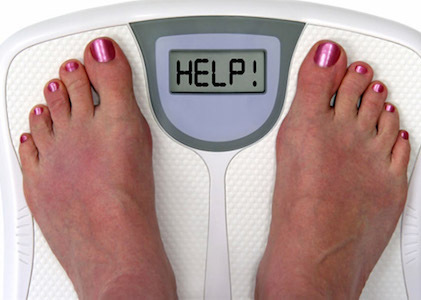 Have you recently put in all your efforts to drop a few pounds and find that the scale has stopped budging? Although you’re eating right, exercising more and incorporating new Reliv shake recipes, you’re finding the scale just won’t move in the lower direction. Well you are not alone; you’ve just hit a plateau. Weight standoffs are pretty common the closer you get to your ideal weight. They can be pretty frustrating and can sometimes derail us off the healthy path. Here are some things to consider trying if you are trying to break free of the plateau zone and to get that scale moving again. First, if you aren’t already, start tracking everything you eat. Even though you may be consuming only “healthy” foods, eating too many extra calories of any type of food can add up fast, causing weight gain. By recording everything you eat and drink, you might be able to account for those sneaky extra calories you are consuming. Secondly, try mixing up your menu. By adding some variety and increasing protein to your meals or shakes, it might just be enough of what your body needs to kick start your metabolism into higher gear. Try eating most meals at home. When dining out, restaurants include lots of extras in their foods, including sodium, and although may taste better than a home-cooked meal, can also impede your efforts to lose weight. Cooking at home eliminates the guess work and you control what extras you add to your meals. Lastly, change up your exercise routine. Your body becomes used to exercises if you do the same ones over and over. Like weight loss, your body can also experience an exercise plateau where you stop seeing results for your efforts. Incorporating weights in your daily routine promotes lean muscles which in turn increases metabolism. Add some cardio or interval training and remember that it’s okay to include days of rest; your body needs it. Paying more attention to what you are eating, adding in a variety of healthy food choices and exercise routines may just be all it takes to give your body the boost it needs to get the scale moving again. And most importantly, remember that the scale is only one unit of measure. Although you may be experiencing a plateau, you may notice your clothes are still fitting better, you are sleeping better and you are feeling great. Keep up your efforts to get fit, feel fit and stay fit and don’t let a number on the scale derail your efforts!